Water for different purposes has its own requirements for the composition and purity and each body of water has to be analyzed on a regular basis to confirm to suitability. SG, an Evoqua company, specializes in water treatment solutions for laboratories and industrial organizations. SG’s electro-deionization systems and reverse osmosis technology for laboratory and industrial applications have further strengthened the portfolio of Evoqua Water Technologies. We are also offering our client Chemical lab for Mineral water. 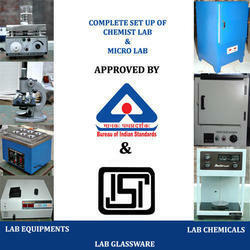 We provide lab setting & isi consultancy and also other type of lab equipment for proper miniral water lab. The Pure Water Guide is an essential resource that can give you the information that you need to make decisions and choices on the water that you use in your lab, industry, home, restaurants, factories etc..
We are counted among one of the leading service providers of bore well Water Testing Services. Our experts carried out this testing service by making use of testing instruments & best techniques that ensures accurate testing results. 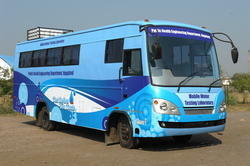 We are offering our clients with a highly trusted range of Water Testing labs. Our range of tested water is in huge demand as it can effectively get rid of various forms of contaminants .